Slander is a great evil. Just as the little rudder steers the whole ship wherever it wants, likewise the tongue leads a person either to good or to evil. The holy fathers greatly censure judging other people’s sins, faults, or evil habits. When we judge our brother, we condemn ourselves to a great sin. But when we cover our brother, God will also protect us from great sins. When we expose our brother, we drive the grace of God away from us and He permits us to fall into the same sins so that we learn that we are all weak and that the grace of God supports us. Whoever guards his tongue guards his soul from great sins and grievous falls. The chief cause of criticism and slander is pride and egotism, because one considers onesrlf better than the others. For this reason it is very beneficial for a person to think of himself as below everyone, so that he considers his brother than him in order that, with the help of God, he may be delivered from this evil. 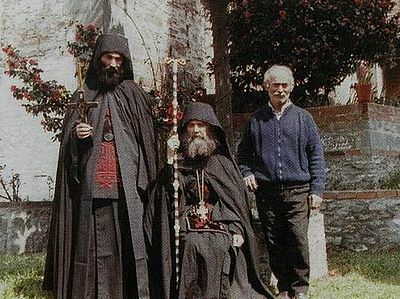 If something pushes you to criticism in any matter regarding a brother or the monastery, try to pray about the matter instead, without passing it under the judgment of your reason. If you turn within yourself through prayer, humility, and mourning, you will find a spiritual treasure—just keep pride and criticism far from you. Be attentive, my child, that you not judge any soul. For God permits the one who judges his neighbor to fall, so that he learns to have sympathy for his weak brother. The mercy of God supports all of us, but if we become proud, God will remove His grace and we shall become worse than the others. It is one thing to condemn someone and another to be fought by thoughts of condemnation. To condemn is a terrible passion, but to be fought by such thoughts and to fight back—this is an occasion for crowns. Each person must bear the weaknesses of others. Who is perfect? Who can boast that he has kept his heart undefiled? Hence, we are all sick, and whoever condemns his brother does not perceive that he himself is sick, because a sick person does not condemn another sick person. Love, endure, overlook, do not get angry, do not flare up, forgive one another, so that you resemble our Christ and are counted worthy to be near Him in His kingdom. My children, avoid condemnation—it is a very great sin. God is greatly saddened when we condemn and loathe people. Let us concern ourselves only with our own faults—for these we should feel pain. Let us condemn ourselves and then we shall find mercy and grace from God. Love one another, and do not be embittered out of egotism. Humility is a sure guide; it does not let the one who possesses it hit the reefs of carelessness and be shipwrecked, but as a luminous guide it leads him faultlessly on sure ground. Egotism is the most evil of evils; it causes all our lapses through unsubmissive thoughts. Fear this and strive to get rid of it, for the more it remains within us, the more it will wound us with the proportionate pain. I beg that you not criticize one another, for this is downright egotism. Excuse your brother’s fault; this is evidence of humility and love. The brother who acts thus will find much grace from God, but he who judges and scandalizes his neighbor should know that not only will he not find grace, but even if he has something he will lose it, so that he may learn the lesson of humility through suffering. Be particularly afraid of inner criticism, that is, thoughts of criticism, because it does not come to light through the spoken word, in which case it is likely to be corrected by someone who hears it. Be careful, I say, about criticism from within, which imperceptibly makes us fatally guilty and deprives us of the life of divine grace and offers as a most bitter drink the death of the soul. I pray that love and freedom from criticism will reign in every expression among you, so that the Holy Spirit may rest in your souls. Experience has shown that it is wrong to accuse and condemn someone without letting him defend himself. As also the sacred Gospel says: “Does our law judge a man before it hears him and knows what he is doing?” (Jn. 7:51 ). If we are not attentive, many sins of condemning others heap up within us, and then repentance is needed. How often a person repents because he spoke! 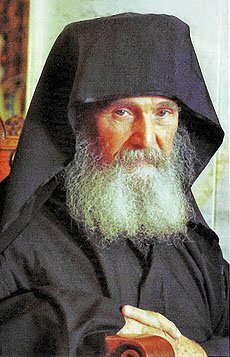 Let us bear in mind the words of Abba Arsenios: “I have often repented for speaking, but I have never repented for keeping silent”. If we are often deceived by the sense of touch, how much more so we are by people’s words. Therefore, much attention is needed, for the devil prowls around roaring to devour us (cf. 1 Pet. 5:8 ). A Christian ought to be like the many-eyed Cherubim, for evil has multiplied greatly, especially the sin of condemnation, which is a common as “bread and cheese”. May God cleanse us and sanctify us for His glory. “Do not let the sun go down on the wrath of your brother” (cf. Eph. 4:26 ). That is, let no one be angry and enraged against his brother past the setting of the sun. have you heard about that brother who was negligent and lazy, who did not go to the all-night vigils and did not do his duties, whom the brethren knew to be a negligent monk? When he fell ill and the hour of his death drew near, the brethren gathered to hear something beneficial, or to comfort him, or in case he wanted to say something to them, but they saw him joyful, cheerful. One brother was scandalized and said, “What is this we see in you, brother? We see that you are joyful even though you are approaching death. 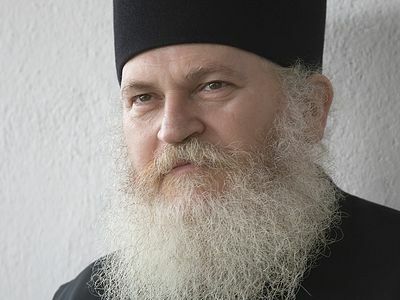 But we have the thought that you were not a violent* monk, so how do you have such courage and a cheerful face? How do you justify yourself?” “Yes, brethren”, he said, “indeed I was a negligent person and I did not fulfill my duties. But I achieved one good thing, by the grace of God: not to condemn any brother and not to scandalize anyone; and never did I let my heart have something against any brother of the monastery when the sun set. And inasmuch as I did not judge any brother, I believe that God will not judge me either, for He said, “Judge not, that you be not judged” (Mt. 7:1 ) and since I did not judge, I will not be judged”. The brethren marveled and said, “Brother, you found the way of salvation very easily”. And the brother died with much joy. Do you see how the Fathers struggled and how they found the way of salvation? *A “violent” or “forceful” monk or person is one who strives vigorously to “do violence to his nature constantly” (Ladder 1:4 ), for “the kingdom of heaven suffers violence, and the violent take it by force” (Mt. 11:12 ). 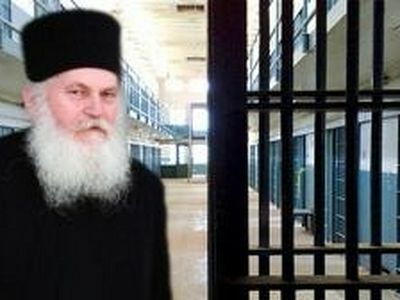 A prisoner, Anthony Papadatos, representing the sixth ward of prisoners in the prison of Korydallos, wrote a letter in which they express their gratitude to the Elder Ephraim and thanked God that He brought him near them! I find this interesting. I feel if our faith is being attacked, its to find the right words to say rather than to feel if we should be silent or not. Our instincts will make us either say something or not depending on how we feel at the moment, But most of the time need to make my point my Orthodoxy because I know my faith to be true and pure I do so in my own way, Example: Many are trying to throw Orthodoxy down that we are not the original church, I said I know we are but usually I say " really? Well You Mr/Mrs so and so can U explain that in the holy Sephulcre The holy light only lights for the Greek Orthoox Patriarh and no one else? Not even for another Orthodox. Things like that. I LOVE GERODA EFHRAIM!!! I have see him many times.!!! AXIOS He help me a lot All this years . How does this apply when you have to stand against something like a heresy against the faith being preached to you, or a novelty of error being forced upon you? Does this not require judgement and to speak against it? Even act against it? To "remain silent" in this situation would seem a sin. Perhaps it is meant to apply this to all scenarios not involving direct and serious sin "judge not" and "remain silent" to gain virtue? When are we obliged to speak and to act against another who is in error, or is attacking the faith/faithful? Better stated... how do we know when to speak and when to remain silent? When to act and when to be still? It can't be always or we would have no martyrs. Elder Ephraim is a genuine saint of God! Such beautiful heartfelt words of love and wisdom prove as such, and he lives the Truths of our Holy Orthodox Faith constantly.